New immigration rules leaked to the Guardian. – no more indefinite right to remain. At most one could stay in England is for five years. So, better not plan to attend under-grad and post-grad studies here. 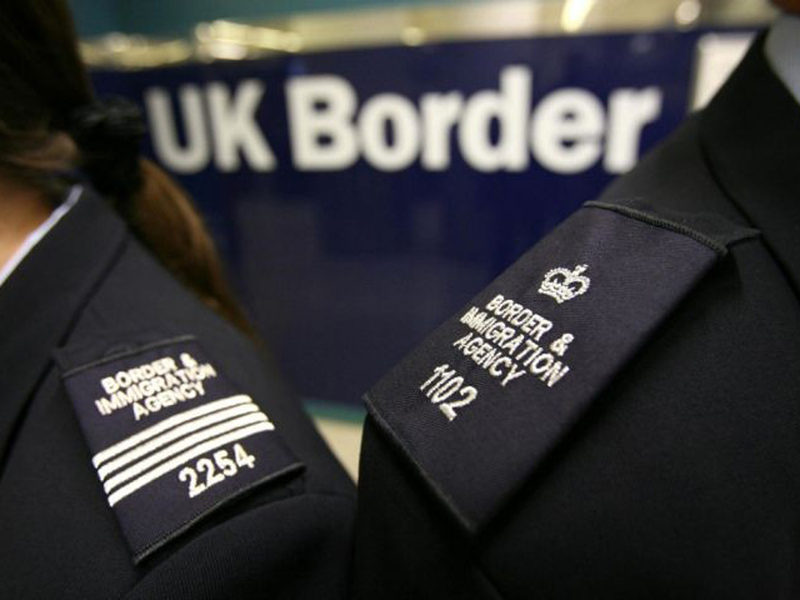 – After two months you will need to register with the Home Office and they will issue you with a biometric ID. – If you don’t earn enough, then you can forget about bringing your partner or kids over. – No Freedom of Movement, no Single Market. – International companies CEO’s will all of a sudden realize they will not be able to stay and run the company for much longer. These people go where the money is and the boards too. How do you think a vote would go in board meeting about losing most of the board and management or relocating? Say goodbye to revenue makers. – International students will not be able to do undergrad (3yrs) + PhD (3-4yrs) in this Country. – Academics will not be able to work. Who would move for a single project and then go back? – Doctors will not come to a dead-end job, where their careers will be cut short. – We (the EU citizens working in the UK) can probably forget about our pensions accrued in the UK. – EU people with homes and steady jobs and families here need to seriously consider what they will do in 2-5 years time when they are deported. They probably need to think now, not when they lose the right to own property in the UK. – The UK pensioners are coming back. EU will reciprocate. The UK is thus swapping a young and energetic work force for people who are more likely to need government services (like NHS) than contribute to them. It is an absolute pipedream to say, but if you are highly qualified, you are fine. No, I am not. (a) Our relationship is not as one sided as you might think, England. I contribute to the body of knowledge in a very specific area that captures interest of many, which at the same time is not terribly overpopulated (perhaps 20 people in the world work on this). It is not like I am only sponging off you, England. You are sponging off me and my expertise and borrowing my reputation to enhance yours. Thus, let’s not pretend that I will be pathetically grateful if only you could throw me a small time limited bone. There are other kennels. (c) If I am a “highly qualified” migrant, why exactly would I want to come to this bigoted and racist Country? The pound is in the dumps, the long-term career prospects are finished, my family cannot come with me, the atmosphere is stuffy and uneasy. Should I come for the weather? Or so I can be abused or issued an ID card (something the British refuse to adopt for themselves because it is an “invasion of privacy” and “government meddling into citizen’s lives”. I guess it is not a problem if this is done to non-Brits, since we are not really comparably human anyway, right?). From skimming the documents I couldn’t find out they’ll only do this to the EU citizens or to the commonwealth citizens too. If they do it to India, say goodbye to FTA with them. (d) I understand I am used as a leverage for the dictator May (she wants sweeping powers and no debate or parliamentary oversight, of course she wants to be a dictator) to posture in front of her party and thus remain in power. And as a leverage where the UK shows EU how bad it could get unless it caves. I don’t appreciate that. I do not want to be associated with this regime, they do not stand for the same things I stand for, and I will be damned before I help these people stay in power or screw the British people in general through making myself available to use as a bargaining chip. Fine. Many of us will go. We’ll both be sorry and then move on. Years from now, I’ll be reading the newspaper and find out whether you’ve prospered or imploded, England. And guess what, I’ll care about equally either way.